imageRUNNER 1750iF - American Business Copiers, Inc.
At up to 52 pages per minute, the imageRUNNER 1750iF offers sophisticated, ultra-compact productivity that's easy to manage for small and medium businesses and enterprises alike. 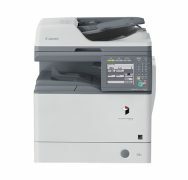 Designed to meet the needs of small to mid-size workgroups and Managed Document Services needs, the Canon imageRUNNER 1750iF delivers high-quality print and copy output and color scanning and sending with available finishing capabilities that are easy for everyone in the office to use. 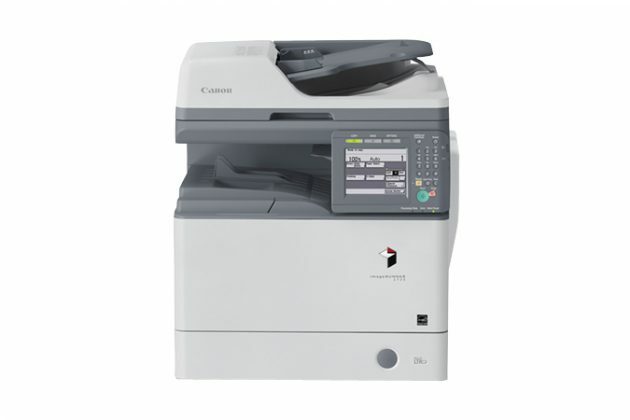 Rather than having to choose between a single function printer and an MFP with features you don’t need, the Canon imageRUNNER 1750iF includes just the right mix of performance and productivity in a configuration that fits your needs. With excellent manageability, and high levels of consistency with other imageRUNNER models, the imageRUNNER 1750iF is ideal for both single unit and fleet placements. The imageRUNNER 1750iF delivers black and while print speeds of up to 52 ppm and scanning speeds of 52/52 ipm (BW/color, 300 dpi) for letter-sized documents. Offering standard UFR II LT, PCL5e/6, and PS (emulated) printing, Color Send with PDF High Compression and Searchable PDF technologies, single-line faxing, a 550-sheet cassette, a large intuitive tilting LCD interface, and compact finishing options, the imageRUNNER 1750iF system packs easy-to-use productivity into a new compact form that’s incredibly easy to manage.